6 wild days in Uganda with Africa Adventure Safaris was the plan. My schedule included chimpanzee tracking in Kibale Forest National Park, a boat cruise in Queen Elizabeth National Park rewarding me with game sightings such as hippos, crocodiles, elephants, and buffalo, a tree-climbing lion safari in Bwindi Forest National Park, and gorilla trekking in Bwindi National Park. It all sounds made up, right? Well the actual experience was even more amazing and bizarre then it sounds. It all started with my arrival in Kampala. When I stepped out of the airport, I was greeted by my guide, who was also my driver. He was my contact from Africa Adventure Safaris and my friend for the next 6 days in Uganda. 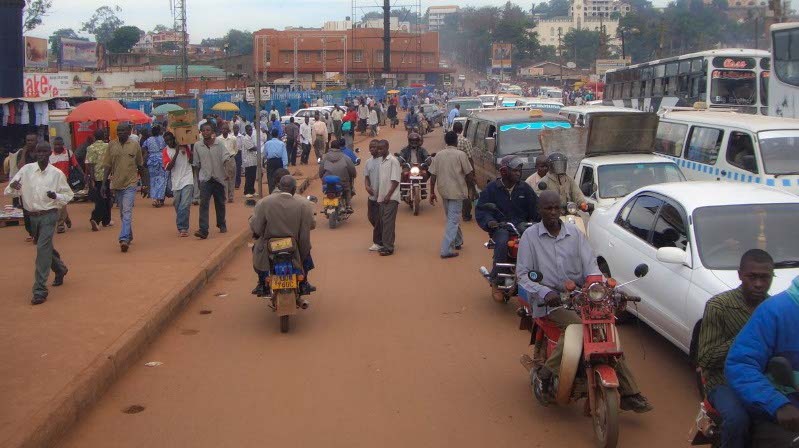 As we made our way toward Kampala, I was immediately intimidated by the sheer number of people that live everywhere in Uganda. To say that the streets are packed is a hyperbole. There are some cars and trucks, but there are mostly public transportation vans and motorcycles. The public transportation vans stop in the middle of the road or wherever they like. They charge whatever they want and they are jam packed with commuters. The motorcyclists are, from what I could understand, called “boarder-boarders”. They weave in and out of traffic utilizing the side of the road, the ditch, and anywhere else they can fit a motorcycle. Sometimes they are carrying one person; sometimes they are carrying several including small children and large adults. Some women in skirts ride side saddle and some women are carrying newborns. They don’t always carry people either. I saw several stacked at least five feet high with water jugs and others with massive bags of coal. I even saw one stopped on the side of the road as the driver and the passenger tried to get a pig on the seat. I don’t know if they were successful. There are also hundreds of people walking on the road and to the side as well. The move around the traffic like bees around flowers. Just getting to the first hotel was an adventure. The driver delivered me to my accommodations, Nexus Resort, for the night. He chatted with the front desk employee and made sure I was ok before leaving me for the night. 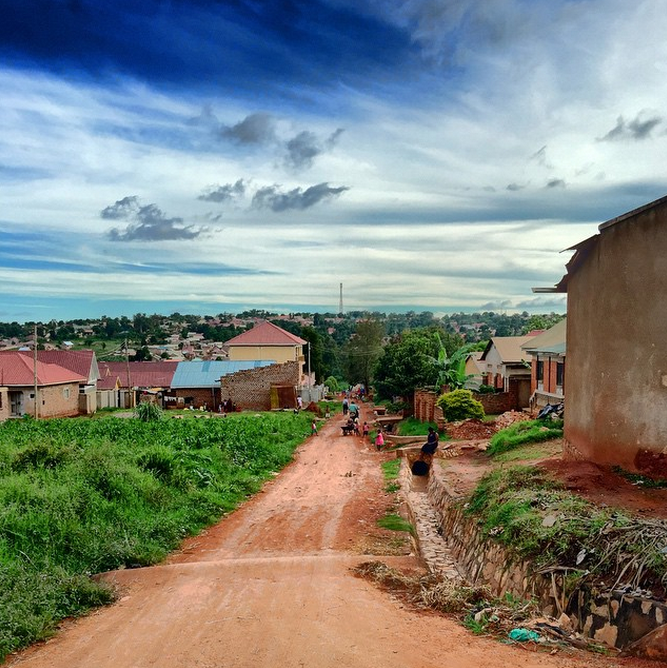 Located just outside of Kampala’s city center in Nansana, it wasn’t as packed as downtown. My room was located in the second floor and it was peaceful and clean. Dinner was on my own, at least it was supposed to be. I met a local lady who joined me for my meal. We talked for almost an hour and then she asked if I wanted a tour of the community. I was hesitant at first. I was in a foreign country and I didn’t even have phone service. I tried to think about the situation rationally. I would be outdoors, lots of people were around, it was daylight, and she was well known by the employees of the hotel. We set out on an hour walk of the district. The side streets were bustling with people. Shops lined the road but not like anything I’ve seen before. They were family-owned homes made into businesses. They sold clothes, convenience store items, coal, food, and possibly live chickens. It didn’t seem like anyone was in any of the buildings. Everyone was outside on their porch or near the road. Children smiled and waved at me. They seemed surprised to see me in the street and with a local but they were friendly and curious. Adults stopped to look at me. They weren’t welcoming but they weren’t intimidating either. I felt a little bit like a circus attraction, but not scared. I said hello when someone walked by me and I waved to the children. I already felt a sense of security in Uganda. I wasn’t discouraged from entering the shops and no one hassled me when I did. I asked about walking on my own in the area and my new friend said that it was completely safe. She explained her take on the people of Uganda. It seemed too good to be true but over the next few days I learned the truth about the people of Uganda, especially when we went off the road in a mud slide. I don’t want to jump too far ahead of my story though so you’ll need to wait a few days for that post. When we arrived back at the hotel, I was grateful for my trusting nature. I quickly fell into a deep sleep imagining my wild adventures to come. This entry was posted in Africa, Travel, Uganda and tagged Africa, Africa Adventure Safaris, African Safari, Gorilla Trekking, Gorilla Trekking Safari, Kampala, Safari by lesleycarter. Bookmark the permalink. Living in Cape Town, South Africa, was similar, too. People never galloped off with my items! People offer services and expect to be paid immediately! I never had a problem in South Africa or Lesotho (the only 2 places where I’ve traveled in Africa). Photo #1 is incredible. I can’t wait to hear about the rest of your travels in Uganda! The colors in the sky are out of this world! Love your photos and stories. Was there for about 3 weeks 5 years ago. Did the items on your itinerary. Hope you loved it as much as I did. The children are so friendly. Was always greeted with “hello, how are you?” Guess the phrase was from their English classes. Gorillas in Bwindi were probably my favorite. Looking forward to your next post. I don’t know if I enjoyed the chimps or the gorillas more. Did you go to the chimpanzee forest as well? What was the weather like when you were there? Did visit and trek with chimps in Kibale National Park also. Chimps are fun to see, but just something special about the gorillas for me. Also boat at Queen Elizabeth. Camped at edge of Nile at Murchison Falls. Beautiful falls through narrow gorge. Different experience for me was at Jinga–source of Nile from Lake Victoria. Not sure if the dam has been built, but not when we were there, class 5 white water rafting was fabulous. Nile was warm and clean at this point. 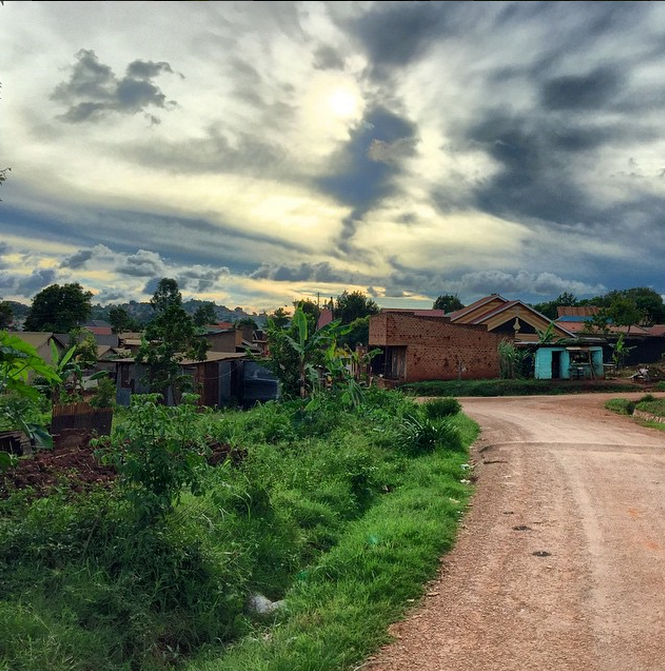 Your posts are a great way for me to relive the experiences of Uganda. Even looked at my old photos. Wonderful, friendly people in Uganda. I heard different stories about South Africa so I’m glad to hear your first-hand experience. Are you from Cape Town? How long did you live there? Do you still live there now? Fantastic! Would you consider going back or was this a one time thing? Have you volunteered in other countries as well? My life’s biggest regret is having left Cape Town! I want to go back. Wish I had never left! What a marvelous adventure. The photos are awesome too!! What a dream come true. I can’t wait to get to Africa some day! It was my favorite experience in Africa so far. I’m already dreaming about going back. What countries in Africa are on the top of your list? I did Namibia as a self-drive safari and it was an amazing experience as well. Tons of wildlife and we could travel at our own pace. You are so fortunate to be in a position to travel so much. It sounds like you take your daughter with you as often as you can. Did you take her with you to Africa? She didn’t come to Uganda with me because both the gorilla trekking and chimpanzee trekking have age restrictions, but I would definitely consider bringing her back with me for a different experience there. Imagine all the stories she will tell of her youthful travels. Yep; this certainly was a connected experience. I felt like I was in the heart of the country. 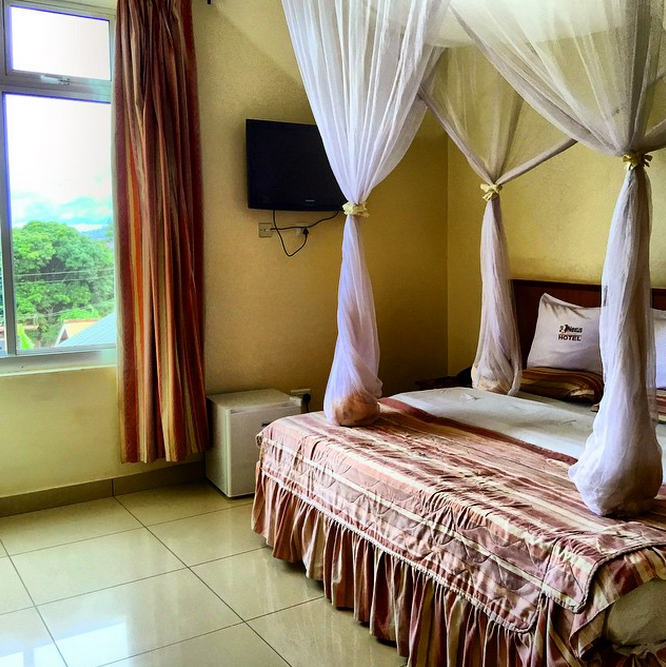 Have you been to Uganda before? I’m listening with interest Lesley – all I remember are the horror stories of Uganda when they lived under the regime of Idi Amin. So nice to hear a lighter side of these countries your visiting. It truly was a comforting experience. I would happily bring Athena with me. I felt safe in the country. I agree, before setting off on our trip, lots of people said we would be robbed and kidnapped because we were travelling slowly in rural areas but it was the opposite. Everyone we met was highly concerned for our safety. Sometimes insisting we stay in their village to be extra safe. Love your photo of the village. Did you ever experience any difficulty? What you write is fascinating and what you click is eye-catching. Wish I could be like you!!! I loved reading about this and seeing your pictures!